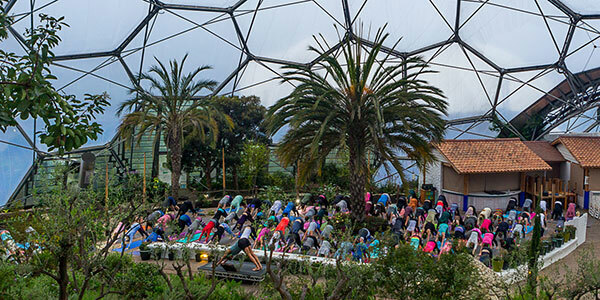 The combination of yoga and music in stunning locations will ensure that Silent Disco Yoga is the most memorable yoga practice you will ever do. Inspirational indoor and outdoor locations guaranteed! Silent Disco Yoga involves practicing yoga whilst immersing yourself in music played through wireless headphones. The class is led by a yoga teacher who is talking into a wireless microphone and whose voice can be heard over the music in your headphones. Take a look at this video we put together which explains in a little more detail about how it all works. From the stunning beaches of Cornwall in the summer to the unique and historic buildings dotted around the country, we find places to inspire you! We are always looking for new ideas for where to hold Silent Disco Yoga events. If you live near an amazing venue that you think would be suitable then get in touch. The criteria? Jaw Dropping! 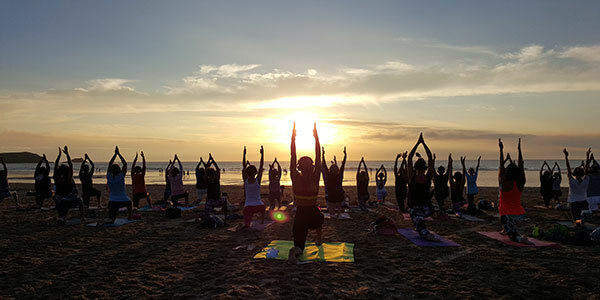 The sort of place where you instantly go "Wow, imagine practicing yoga there..."
When we aren't running Silent Disco Yoga events down on the iconic Fistral Beach in Newquay, Cornwall, you can find us travelling the country spreading the amazing energy that comes from combining music and yoga. 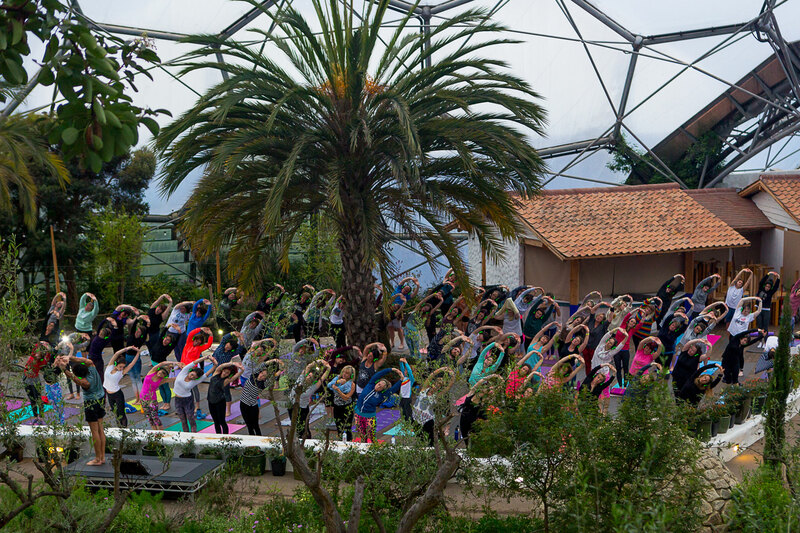 If you haven't tried Silent Disco Yoga before then get ready for a whole new experience! Keep scrolling to see if we have an event planned at a location near you. Our subscribers are the first to hear about all new dates and venues as we confirm them. We will also share some of our favourite playlists to download with our subscribers.